This last weekend was the CQ World Wide DX CW Contest and I decided at short notice that I’d spend some time operating. I was planning on being out for most of the day on Saturday but had nothing arranged for Sunday which would give me a few hours. I actually managed half an hour or so on Saturday morning before going out and then another hour in the evening when we got home before tea and then after watching Strictly (yes, I know) as well as a good few hours on Sunday. I’m not a big CW operator so this isn’t a serious entry. 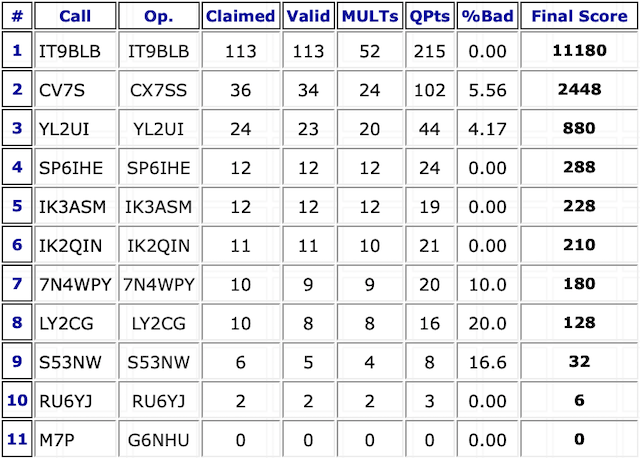 I have worked well over 200 DXCC entities using Morse code but I’ve always treated it as just another data mode. I use software to transmit and have a couple of software decoders running. They’re far from perfect though so the mark one earball does get used regularly. By operating purely in search and pounce mode, it’s relatively straightforward as I have time to make sure I’ve successfully read what’s been transmitted. My technique was simple, start at the bottom of each band and tune through, working everything I can hear. 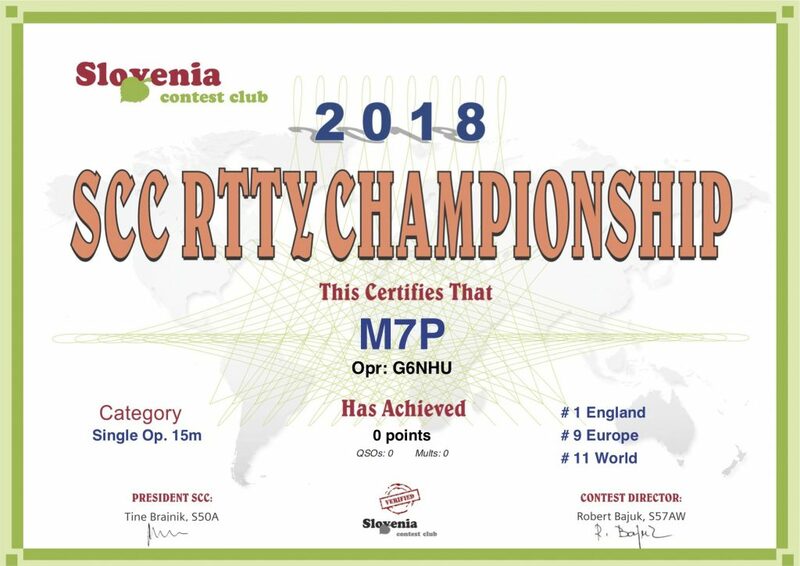 I wasn’t chasing multipliers in any form, either DXCC entities or CQ zones and that’s very obvious when I look at my totals. I worked just 14 zones but did manage to work 56 entities and made a total of 323 QSOs with one duplicate. My average rate over the time I spent operating was 34 QSOs/hour which I appreciate is poor compared to many others. It’s good enough for me though. As to be expected at this point in the solar cycle, the majority of my Qs were to European stations but perhaps surprisingly, the single country where I worked the most people was the USA with 61 contacts. This is largely down to 20m on Sunday afternoon where I seemed to tune the band and just work one after another. I was also very pleased to work two new countries on 40m – US Virgin Islands and Bonaire which take my total on 40m up to 98 worked. I will get DXCC on that band and then that’ll just leave me 80m before I can claim 5BDXCC. I suspect that’s a good few years away though. Most of my QSOs were on 20m which is hardly surprising considering the times of day I was operating and the fact that my aerial for 20m is significantly better than for the lower bands and I can run more power on the HF bands than the LF ones because my smartuner is rated at relatively low power for CW. This was the first CW contest where I’ve used my special contest callsign for any more than a few minutes and I have to say that I’m impressed as to how well it seems to cut through pileups. There were a few times I was calling along with a whole bunch of other stations and a quick blast of the callsign really did seem to get through quickly. I didn’t struggle to work anyone at all. It was a fun contest. I won’t win anything but it was an enjoyable way to spend a few hours on a dull weekend in November. My full log and analysis can be seen on my Contest Results page. When running data modes such as the very popular FT8, it’s important to keep your computer clock accurate because if it’s more than a couple of seconds out then you won’t be able to decode anyone, they won’t be able to decode you and you won’t make any QSOs. There are a number of utilities for Windows to keep the clock accurate and it’s fairly essential you use one of them. Last year I wrote a piece about keeping your clock accurate in macOS which worked perfectly well in High Sierra but no longer works using macOS Mojave because the command I recommended has been removed from the operating system. I’ve done some investigation and have found another command which works just as well. I should note that macOS Mojave seems to do a really good job of keeping the clock accurate by itself and when I ran this new command, my clock was accurate to within 0.1 seconds. The first thing to do is to test the command to make sure it works properly. I’ve done this on two systems now and each time I had run an additional two commands just to get it running. You’ll almost certainly be prompted for your password – This is the main administrator account password for your Mac computer, enter it and press return. Now you need to schedule this so that it runs automatically. The following instructions are pretty much identical to those posted in my original blog entry. macOS has a built in task scheduler called cron and it’s relatively straightforward to add an entry to cron. 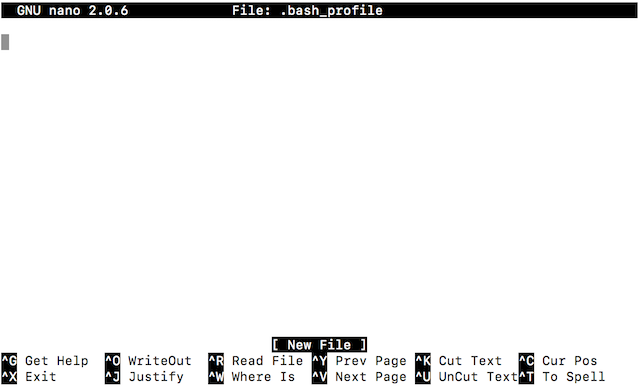 By default, macOS uses a very powerful text editor to edit system files but that can be a little daunting at first. 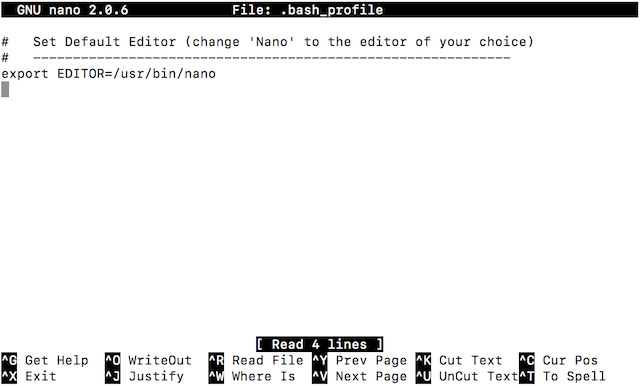 If you’re happy to use that then that’s fine, go ahead but I’m going to give you some instructions now on how to change your default system editor to nano. Press control-x, press y and then press enter to save the file. Now either restart your Mac or simply log out and then back in. If you don’t do this then it won’t use the editor we’ve just configured. Enter your password as before. Unless you’ve already added something into cron previously, this file will be empty. You may have followed my instructions on cleaning a useless cache and if so, there will be a line there already. It doesn’t matter whether the file is empty or not. This line is adding a task to automatically run the command we discussed above every sixty minutes. You could change the 60 to be any number you want and it will run at those intervals. For more information about how to configure cron, please see here. Press control-x, press y and then press enter to save the file. If you get the following prompt, click the OK button. You’re done. Your Mac will now keep very accurate time with no further intervention. 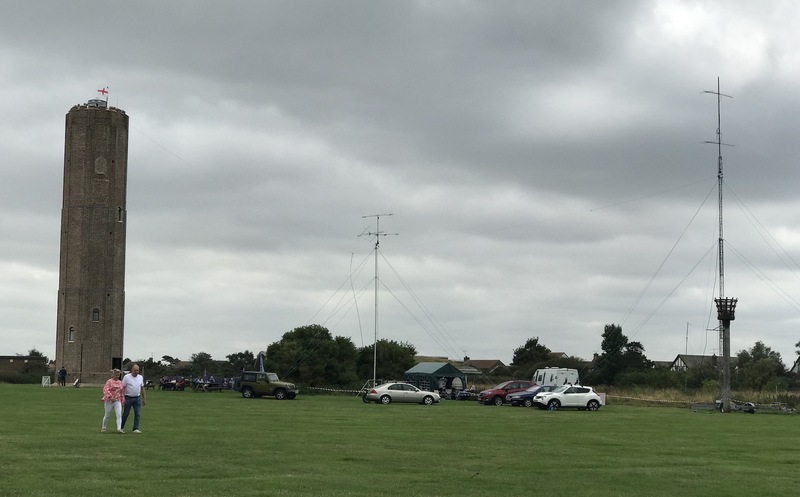 A few days ago was the International Lighthouse Lightship Weekend and a group of locals under the umbrella of Colchester Radio Amateurs operated a special event station using the callsign GB6NT from the Naze Tower at Walton-on-the-Naze in Essex. This location is very close to me and I visited on both Saturday and Sunday. On the Saturday I drove to Walton-on-the-Naze and parked in the town from where I walked up the hill to the site. On Sunday I walked there and back from home, stopping in Frinton on the way for an ice cream. The setup was very impressive, a large tent with three HF stations and one VHF station. The group had been able to use the Naze Tower as a skyhook and had a doublet for 80m hanging from it. The doublet was fed with 450 ohm open feeder via a smartuner so it could be used on different bands. 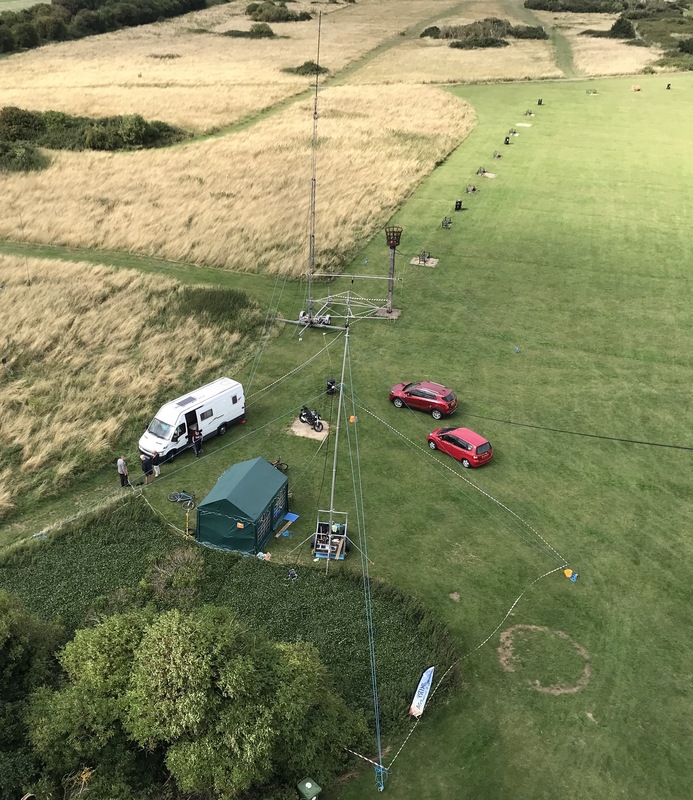 Also set up was a 65ft Antenna Solutions pneumatic mast with an MFJ 1775 rotatable dipole and a MQ-24SR hybrid quad on top and a 60ft Versatower with a couple of nine element 144MHz beams. Neither of these two masts were extended to their maximum height. Conditions weren’t bad for the weekend with some good DX worked. The public interest was high and amateur radio was demonstrated to a lot of passers by. The prominent location of being right next to the Tower helped with that and awareness was also raised by Anglia ITV being on site on Friday evening to present the weather and to interview Garry, M0MGP. International Lighthouse Lightship Weekend is a popular event and there were hundreds of lighthouses and lightships active around the world. The Naze Tower was only registered with the ILLW a couple of years ago so many people were keen to add GB6NT to their logbook. I was persuaded to operate for a while so I spent some time running the FT8 station and made quite a few QSOs. It was a fun few hours spend in pleasant company. 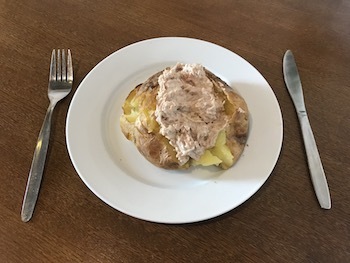 I even had time to treat myself to a baked potato from the cafe in the base of the Naze Tower.